Even as the older pessimists of Akihabara bemoan the area selling out to tourists, the backstreets continue to pump out authentic Akiba culture at a relentless pace. If you know where to look, the scene is very much alive and always ready to put the spring back into the step of even the most jaded fan. One of the newest openings, Beep Akihabara, is particularly appropriate for this purpose, shining the spotlight on the computer scene that many old-timers came to Akihabara for in its formative years. Oddly enough, despite the Japanese retro-console scene being well-known abroad since the 1980s, the computer gaming scene never quite made the jump. Understandable, really, as it’s one thing to import a single self-contained box, but another to get a computer out of Japan back in the day—especially with all the operating systems, cables, adapters, and controllers required. Not to mention the sheer cost of the shipping. However, that means many gamers are missing out on a huge part of Japanese gaming history. Many of the cult series have their origin on computer formats. Gaming history took interesting tangents such as the MSX from Microsoft Japan that really took off in East Asia by bridging the gap between console and computer, and was the original home of Konami’s Metal Gear Solid series. 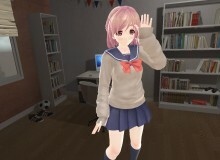 At any rate, no matter your level of interest, it’s exciting to know that, even in an age when gaming history seems to be well-archived and available on smartphones, there are still depths left to explore, games to discover, and even entire systems the most dedicated gamers have yet to experience. Visitors to the underground bunker that houses Beep will be greeted by banks of humming computers and systems set up and ready to played completely for free. There’s a regularly rotating lineup of games, so you can see what you might have been missing out on. 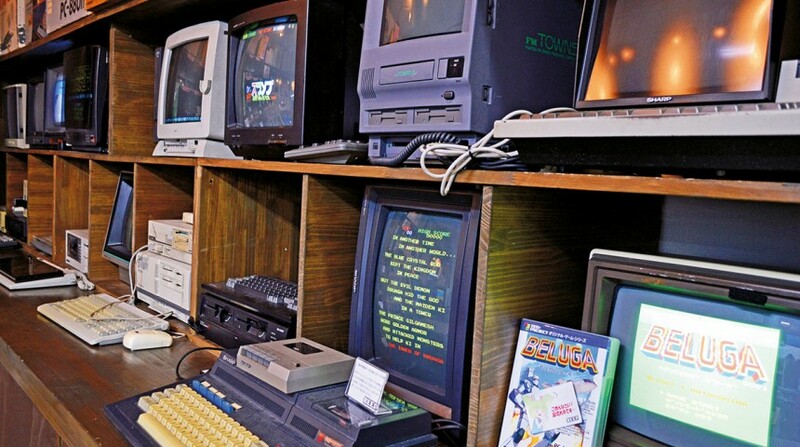 There are refurbished, tested, and even brand-new consoles and computers to take home if your wallet allows—but Beep operates as a museum first and a shop second. Some of the rarer games set up for playing are notoriously difficult, so the shop has produced its own guidebooks in lieu of anything official. The idea is that if the customer can’t afford to buy into the system wholesale, they can pick up the guide, still experience everything the game has to offer, and then come back next month to explore a whole different game, as intended, on the original hardware. 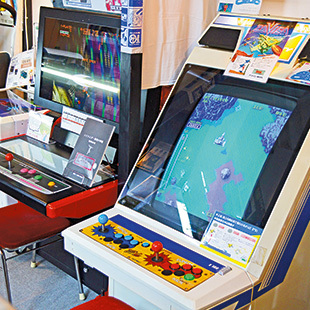 Beyond the obscurities of the computer world—FM Towns, anyone?—the store also gets to grips with the extremities of the arcade world, taking turns to push the output of different game makers that people might not be quite familiar with. Currently, they’re tackling the rarer entries in Data East’s back catalog, ready to be enjoyed on Beep’s own cabinets. But if you want to build your own arcade cab at home, then you’re more than welcome to do so. Beep offers their own range of custom boards to get you started for a pretty minimal buy-in, including setups mindful of the constraints smaller homes might present, that allow you to directly hook up Jamma arcade boards to a standard TV and use console controllers instead of arcade sticks. 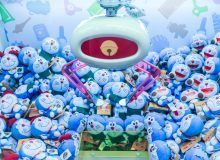 However, the serious collectors will head straight to the showcases, where Beep proves they’re capable of going a step beyond the average retro game shop. Whereas their Akihabara rivals might have a copy of the holy grail of any PC engine collection, Darius Alpha, on the shelves, Beep has it sealed with a letter from the producer. Their shelves are positively heaving with items that aren’t just about the game, but also the culture that goes with it. Some of the games’ creators themselves have visited the store to leave signed messages of astonishment that such items have been located after all these years. 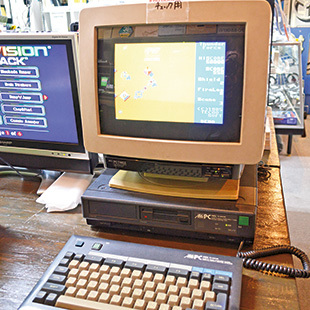 But don’t worry: even if the rarities sell, the shop continues its duty as a museum by cataloguing the items for its own in-house publication, having already produced guides to the history of Japanese PC gaming, and even foreign consoles that never made it to the Japanese market.